Bloodletting always makes good copy. No wonder then that the killing, by Naga rebels, of 18 unarmed Army jawans going on leave in Manipur on June 5 and the airborne counter-strike on June 9 by Indian troops on rebel camps in Myanmar, stirred public sentiment. The depth, the speed and the effectiveness of the Army response was breathtakingly efficient, and reflects the capabilities of our Army when it is effectively led. But the “cheer-leader” type response of the young minister of state for information and broadcasting — Colonel Rajyavardhan Singh Rathore, himself an ex-Armyman, using Twitter handles to extend dire warnings that Indians will root out terrorists who attack India or Indians anywhere, was reminiscent of President George W. Bush’s forceful “Marlboro Man” resolve to “hunt down” the Al Qaeda perpetrators of 9/11. Col. Rathore forgets that President Bush was targeting enemy aliens who had wreaked havoc on American soil. Naga rebels are as Indian as the minister — historically disgruntled though they may be. Surely the optics of managing our own rebels has to be different from the manner in which foreign enemies are dealt with. Col. Rathore will rue his remarks should he, one day, become minister in-charge of the Northeast — as his more illustrious colleague Gen. V.K. Singh (retd) is today. Negotiating with “rebels” you wanted to once hunt down becomes unnecessarily more awkward and difficult. Alternatively, Col. Rathore could, in future, become minister in the external affairs ministry where he will rue a hawkish image whilst dealing with our immediate neighbours. The friendly government of Myanmar ostensibly only came to know about India’s targeted penetration into their territory, after the airborne Indian Force had returned — a mirror image of the US strike to hunt down Osama bin Laden in Pakistan. No government likes its sovereignty to be taken lightly, least of all our immediate neighbours in South Asia, who already bristle at our “big bully but empty pockets” image. China is also a big bully, but at least they shut the protesting mouth with cash. The point Col. Rathore should consider is that he is not mandated to speak on matters outside his portfolio. He may have personal opinions. As an ex-Armyman it would be natural to glow with professional pride at the faultless manner in which the operation was executed. But the code on tweeting personal opinions by ministers was established in 2009. Shashi Tharoor, a junior minister in the previous government, got a rap from his party for tweeting jocularly that he was willing to travel “cattle class” or economy on government work in solidarity with all our “Holy Cows” — a particularly evocative term for the “secular”, very politically correct optics code of the Congress. India’s very professional armed forces, like all professional soldiers worldwide, are the first to acknowledge that violence, even when it is justified and used by the state legally, is at best a necessary evil to deal with those who do not respect the rules of law. The Army is a highly honed, surgical knife, effective only when used for the shortest period to maximum effect. Violating this key axiom for their deployment results in rapid degradation of their effectiveness. This is what happens when the Army is used for extended periods to ensure internal security as in Northeast. India has made enormous strides on the diplomatic front by establishing a functional relationship with the government in Myanmar. No trivial task given the political contradictions within Myanmar. The nascent democratic architecture; our ambivalent competition with China — intent on using Myanmar as an overland route to the Indian Ocean area; India and Nobel Laureate Aung San Suu Kyi’s subdued take on the human rights of the marginalised Rohingya Muslim community — all add to the complexity of Indo-Myanmar relations. But it is on the domestic front in Nagaland and Manipur that the deficiencies are more extreme. As in Kashmir and in the Maoist-affected eastern districts, the incentive for local citizens, including rebels to end the conflict is less than self-evident. It does not help when local administrations are elitist, historically weak, inefficient and often corrupt as in Nagaland and Manipur. The jury is out on whether democracy helps or hinders this process of stabilisation in conflict situations. It is entirely possible that a strong authoritarian government, with deep pockets can “crush” rebellion temporarily. This is the expectation in China. But it is yet to happen in Tibet or in Xinjiang. Unless the root causes of marginalisation are addressed and the incentive to conform to the rule of law becomes greater than the incentive to rebel, sustained stabilisation is unlikely. In any case, India is committed to working within the democratic framework. Both Nagaland and Manipur have elected governments, as in Kashmir and they have to be supported to take control. Emerging from conflict into peace is a complex societal process. The good news is ordinary people in war-torn areas are usually unequivocal about their desire for peace. Padma Rao Sundarji’s Sri Lanka: The New Country presents this alternative view that local Tamil Sri Lankans, in sharp contradiction to the jingoistic sentiments of overseas Tamils, are happy that the domestic war in Sri Lanka has ended. All “armies”, including ones own, are extractive in character and feed off the local population, which suffers the economic cost, the indignities and the atrocities of conflict. Rebels living comfortably abroad sheltered and assisted by “friendly” foreign governments and their agents never truly represent the ordinary citizen in the conflict zone. The recent incidents in Manipur are surely not the last round in the battle of attrition, ongoing since 1952, between the Indian state and the Naga rebels. The real question is whether we are doing enough to innovate a domestic political solution? Can Team Modi build the process of reconciliation on the aspirations of educated, young Nagas? 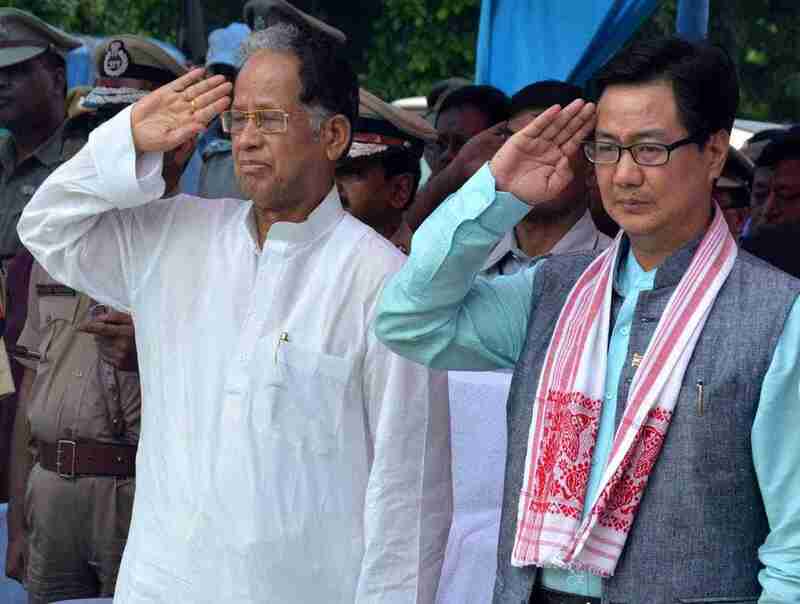 Are there more Kiren Rijiju’s (junior minister for home who is from Arunachal Pradesh) out there?